For Sean Corrigan the past is simply what happened yesterday, until his twenty-first birthday, when he is given a journal left him by his fatherÕs brother MichaelÑa man he had not known existed. The journal, kept after his uncle fled from New York City to Ireland to escape prosecution for a murder he did not commit, draws Sean into a hunt for the truth about MichaelÕs fate. Sean too leaves New York for Ireland, where he is caught up in the lives of people who not only know all about Michael Corrigan but have a score to settle. As his connection to his uncle grows stronger, he realizes that within the tattered journal he carries lies the story of his own lifeÑhis past as well as his futureÑand the key to finding the one woman he is fated to love forever. With the appeal of The Time TravelerÕs Wife and the classic Time and Again, this novel is a romance cloaked in mystery and suspense that takes readers inside the rich heritage of Irish history and faith. Until the Next Time is a remarkable story about time and memory and the way ancient myths affect everythingÑfrom what we believe to who we love. Router Aqua is a game to download for free today only. 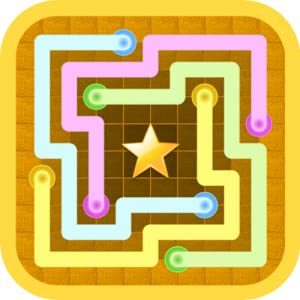 Router Aqua is a brain game that requires connecting matching color dots in the shortest possible distance while avoiding overlaps. Explore multiple routes through seven chapters, each more complex than the last. Chapter One introduces you to the basic gameplay and is well-suited for players of all ages. Chapter Two requires a bit of intellectual dexterity. For Chapter Three, you need to earn at least 130 points from the previous chapters to continue the game. Finish each stage with a perfect score to earn a Star Point. When you earn five or more Star Points, use them to get hints on more difficult levels. Keep in mind that you need to plan ahead before you connect the first line, or the rest of the lines will tangle–and won’t connect. Each stage (or level) offers up to five stars, earning you a Star Point for a perfect score. Capture the Star Point by joining all dots in the stage using the shortest possible lines. Part circuit board, part connect-the-dots, Router Aqua’s simple yet beautifully designed, glowing graphics pull you from level to level as you work through incrementally challenging puzzle boards. Every chapter contains lots of levels, and as you master the game, you may find yourself wandering back along familiar paths to replay, working toward even better scores and making your mark on the global leaderboard. 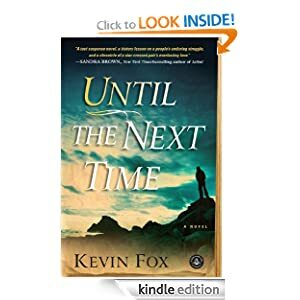 This entry was posted in Kindle Applications, Kindle Apps, Kindle Books, Kindle Daily Deal and tagged Kevin Fox, Router Aqua, Until the Next Time by Paul. Bookmark the permalink.